Ben Carnevale was a Pioneer in Basketball. The game evolved as he played and coached. 1922 Mr. Carnevale sets up a basketball hoop on the side of his home at 31 Gaston Avenue in Raritan for his son Ben. 1930 The size of the basketball is reduced from 32 inches in diameter to 31 inches. 1932 The center line is introduced. Teams have 10 seconds to cross this line and once they do they cannot cross back over. Before this rule change teams could easily stall as they would be able to use the entire court to pass the ball around. 1934 The size of the basketball is again reduced from 31 inches in diameter to 30 inches. 1934 Ben Carnevale is the top scorer for Somerville High School. He leads them to a 9-5 record. 1937 The "Jump Ball" after every basket is eliminated. The team that was scored upon now gets the ball. 1939 The 1st NCAA College Basketball Tournament is held. Eight teams make up the brackets. 1944 The "Goaltending" rule is introduced. Tall Defensive players can no longer swat at the ball as it is on the way downward toward the basket. 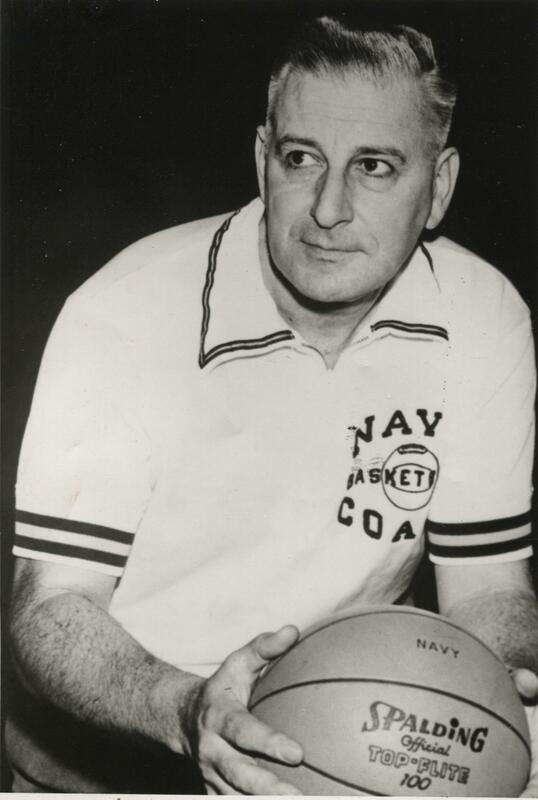 1944 Ben Carnevale Takes a job coaching Basketball at North Carolina at Chapel Hill. 1944 Unlimited Substitutions are introduced. Before a player could only re-enter the game twice. 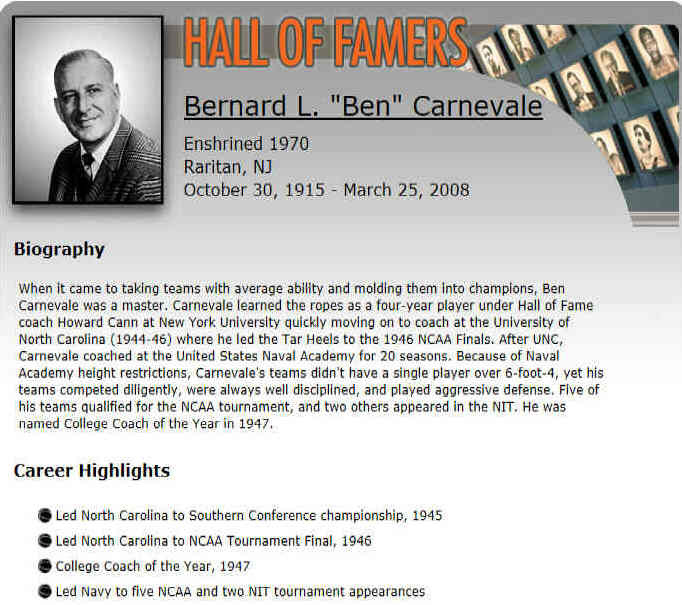 1946 Ben Carnevale coaches North Carolina to the Finals of the NCAA Tournament. 1948 Coaches are finally allowed to talk to players during a timeout. Amazingly before this rule change during the game Coaches could only instruct their players at halftime. mid 1950s The Basketball itself is made much firmer. This allows players to dribble the ball much easier. This changes the game dramatically. Previously, due to the difficulties in dribbling the ball, the main method of moving the ball around was passing. 1968 Ben Carnevale is the Manager of the 1968 Olympic Men's Basketball Team. The U.S. team would win the gold.